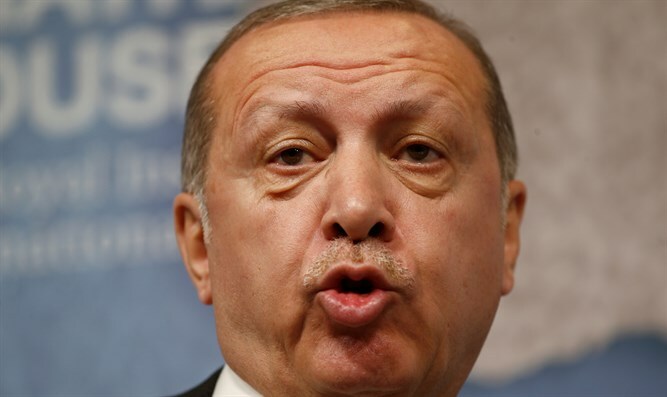 Emissaries expelled as war of words heats up between Israel, Turkey. Israel expelled the Turkish consul in Jerusalem Tuesday following the expulsion of the Israeli ambassador to Turkey. Israeli Ambassador Eitan Naeh was summoned to the foreign ministry and told to "return to his country for a period of time" following the violent riots at the Gaza border Monday, a Turkish foreign ministry official said. In response, Israel has temporarily expelled the Turkish consul in Jerusalem. The expulsion of the emissaries comes as a war of words heats up between the leaders of Israel and Turkey. Turkish President Recep Tayyip Erdogan tweeted Monday: "Netanyahu is the PM of an apartheid state that has occupied a defenseless people's lands for 60+ yrs in violation of UN resolutions." "He has the blood of Palestinians on his hands and can't cover up crimes by attacking Turkey," Erdogan added. Earlier in the day, Netanyahu tweeted: "Erdogan is among Hamas's biggest supporters and there is no doubt that he well understands terrorism and slaughter. I suggest that he not preach morality to us." Agriculture Minister Uri Ariel ordered the freezing of imports of agricultural produce from Turkey to Israel Tuesday afternoon in response to the expulsion of Israel's ambassador. Minister Ariel said, "We won't tolerate a country that preaches morality to the State of Israel with such hypocrisy. The security forces and the IDF soldiers fearlessly protect the residents of Israel. A political source told Arutz Sheva that the decision to expel the Turkish consul was made because "it seems that the Turks were waiting for an opportunity to harm relations and were not sincere in the [reconciliation) agreement reached with us." "The message to the Israeli ambassador was met with a similar announcement to the Turkish consul," the source said. "Israel is ready to hear honest criticism, but Turkey has long ago passed this threshold."